On the day after the midterm elections, Common was hopeful as the full picture of the previous night's events started to come into view. The 46-year-old hip-hop icon, who had campaigned with several Democratic candidates, saw a bright future for his fellow progressives, despite Democratic losses in several high-profile races and the party failing to capture the Senate. "I really feel like a lot of progress was made with Democrats getting the House, an openly gay governor was elected and more women are a part of the House," he told CBS News, admitting he was disappointed by the results in Georgia and Florida, where Stacey Abrams and Andrew Gillum lost their respective races for governor. "I also look at the fact that a black woman is right there on the precipice of being the governor of Georgia. In itself, I have to take some victory in that." 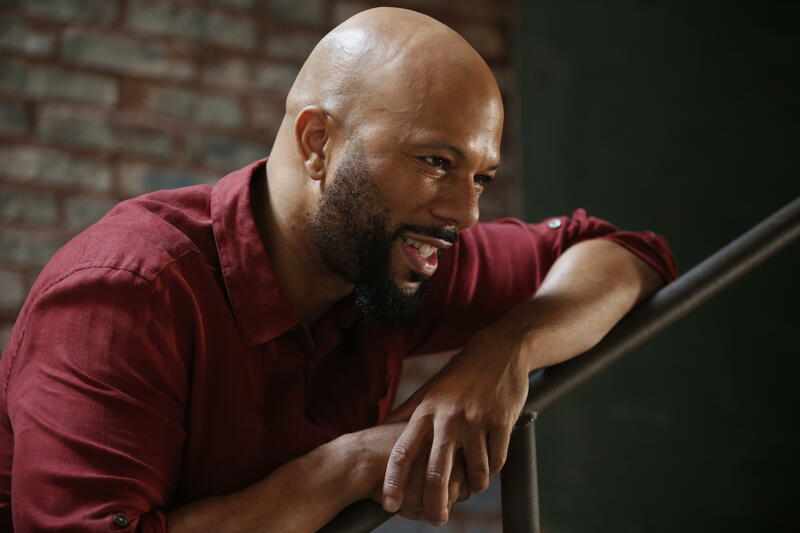 On the campaign trail, Common spoke at events for Abrams, Gillum and J. B. Pritzker, who won election as the next governor of Illinois. "Of course we want the win, but I'm still inspired," he said. "I still believe as much work as we do on the grassroots-level, community wise and outside of the political sphere, we have to do just as much work and be diligent in the [political] space, too." Another reason for his optimism? Florida voters approving a measure to restore the voting rights of 1.4 million former felons. "I've talked to individuals who have come out of prison that didn't feel like citizens. One of the reasons, they couldn't vote," he said. "It just shows the political process can change. It just takes longer than we think. We thought that with Obama in office that everything was just going to be perfect, but it's a battle for those who do care for us. I'm really trying to make a difference out there in politics and beyond." He stressed that while some may be disappointed in the outcome, there is still more work to be done in the fight for equality. "The fight continues. We gotta understand that people were fighting for decades to get rights — this is a continuous battle. This is hundreds of years of injustice and imbalance," he said. "We have to fight to keep things going in that direction. Our grandmothers and grandfathers, and great-grandmothers and great-grandfathers did it — and they continued to do it." Common has always been politically outspoken. His music has been synonymous with the term "conscious rap" — storytelling that inspires and informs its listeners. In 2015, he won an Academy Award with John Legend for the song "Glory." The song, written for Ava DuVernay's "Selma," tackles mass incarceration, police brutality and voting rights. He also played civil rights leader James Bevel in the film. In his latest film "Here and Now," the Chicago native plays Ben, the long-time manager of a jazz vocalist who struggles to process a potentially fatal cancer diagnosis. The film follows artist Vivienne Carala, played by Sarah Jessica Parker, over a 24-hour period as she hides the news from unassuming friends and family members. "When I read the script, I thought it was a nice, beautiful, simple story about a human being dealing with some of the roughest news you could ever get, and watching her go through that journey over the course of a day," he said. "No matter what you may be experiencing in life, you are breathing. You can overcome it. You can prevail through it. Everyone of us goes through things, some of them are the toughest situations. I just looked at the news and saw the mass murder," he said, referring to the deadly shooting at a bar in Thousand Oaks, California. "I have nothing but compassion and sympathy for those individuals." "In storytelling, I think we hope that we can let people know that we all experience certain things, and we hope the stories can help you get through yours."